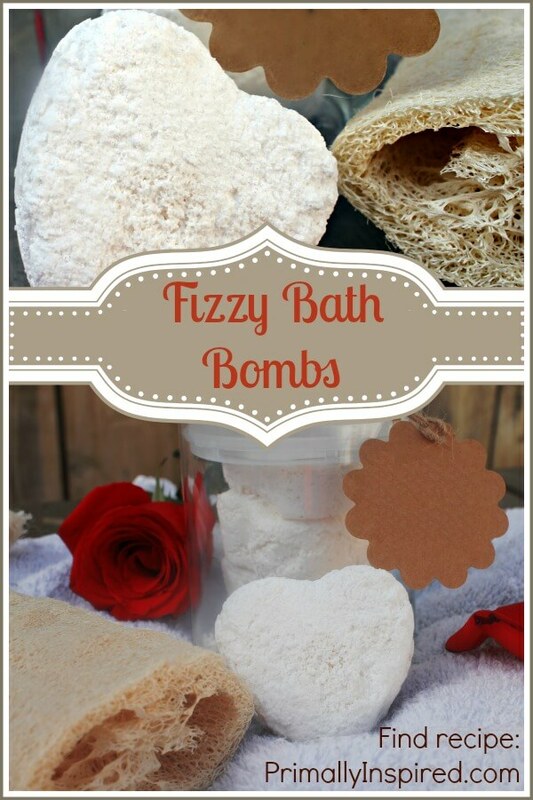 Make your own healthy fizzy bath bombs with this easy recipe. I have a real treat for you today! My friend Kelley, from The Darling Bakers said she had a recipe that you all would love. Kelley is a pretty amazing gal. Her blog is filled with goodies like this Paleo Death by Chocolate Mousse(ohhhhh baby! ), real food lunch ideas and tips for little ones, and so much more. You should check it out and get some inspiration! 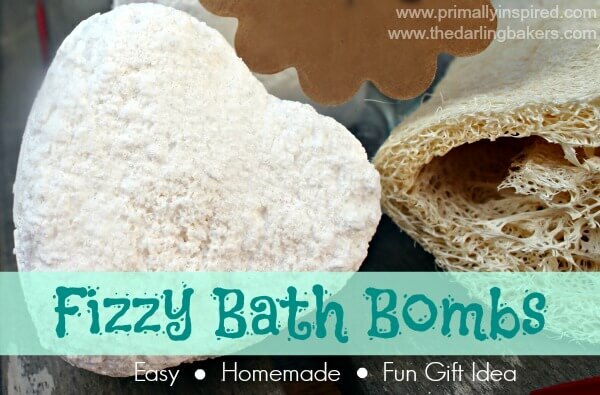 Kelley loves homemade, easy natural recipes just as much as me so if she loves these fizzy bath bombs I know you will, too. I think they’d make such a fun homemade gift idea, don’t you think? Enjoy her post below! As a mother to a teenager and a toddler, I don’t get a lot of “me” time. If I get a daily shower, chances are my toddler is coming in with me. Taking a long bath at the end of the day has become an occasional treat and I like to make the most of it. 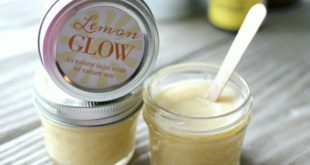 I recently started making quite a few of my own bath and body products like this scrub and this body butter. 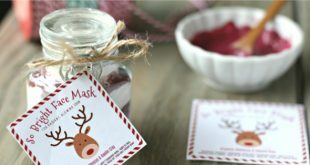 I had some commercial bath bombs I’d received as a gift which I really enjoyed, and I wondered if there was any way I could make those as well. 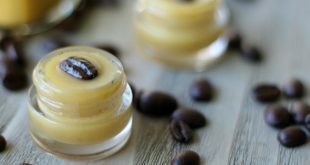 It turns out they are very simple to make, and all the ingredients were actually in my kitchen! It was a fun chemistry experiment to do with my teen as well. These fizzy bath bombs are a great way to make bath time a fragrant, relaxing time. 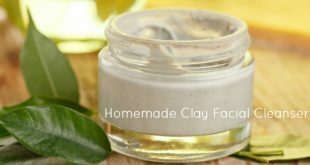 Baking Soda exfoliates and brightens the skin, is anti-fungal and detoxifies the body. Its natural sodium content and alkalinity give the bathwater a silky feel. Arrowroot Powder is a lightweight powdered root starch that is used as a stabilizing agent. Citric Acid softens the water and has astringent properties. Witch Hazel locks in moisture into the skin. Mix together baking soda, arrowroot powder and citric acid. When well incorporated, add essential oils, mixing thoroughly. Alternate spraying mixture with Witch Hazel and mixing. Continue spraying and mixing until mixture begins to stick together. 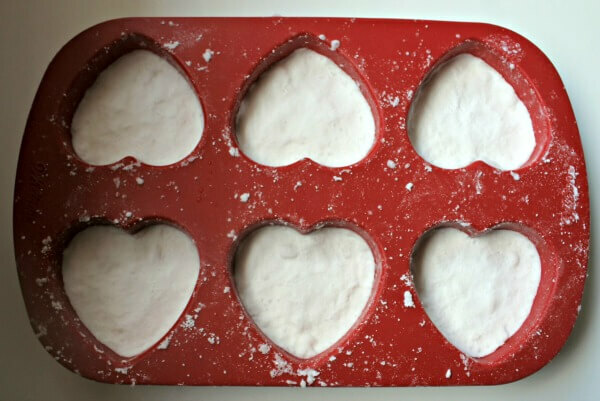 Pack mixture tightly into molds, pressing down firmly. Your bombs are ready to pack up and use when they are dry and hard. 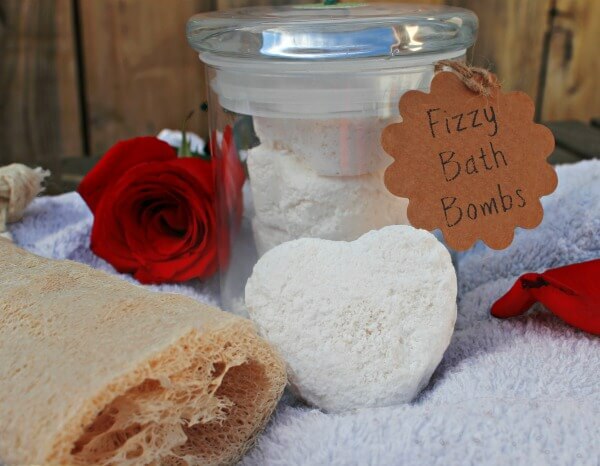 Keep your fizzy bath bombs in an airtight container until you are ready to use them. Your bath bombs will keep indefinitely in very dry conditions, but moisture in the air will cause them to crumble over time. Pin this fizzy bath bomb recipe to Pinterest!